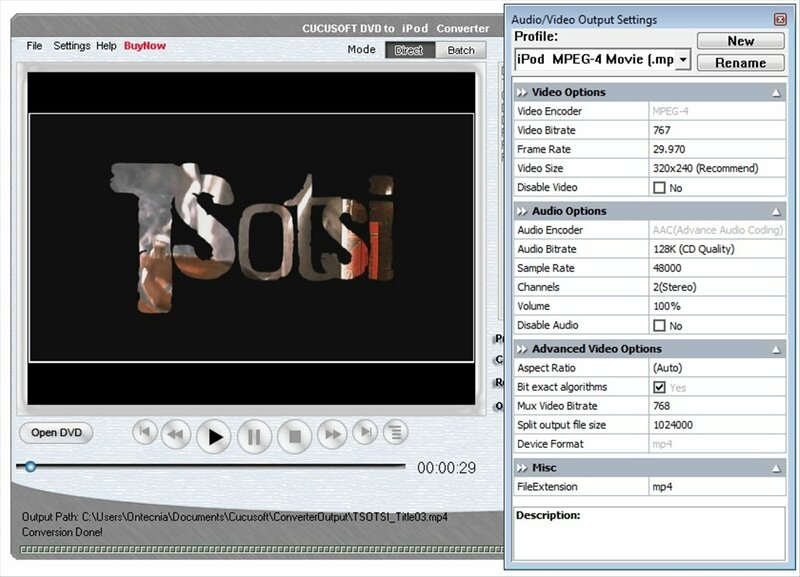 Cucusoft DVD to iPod Converter is a tool to convert your video DVDs to the format compatible with your iPod. 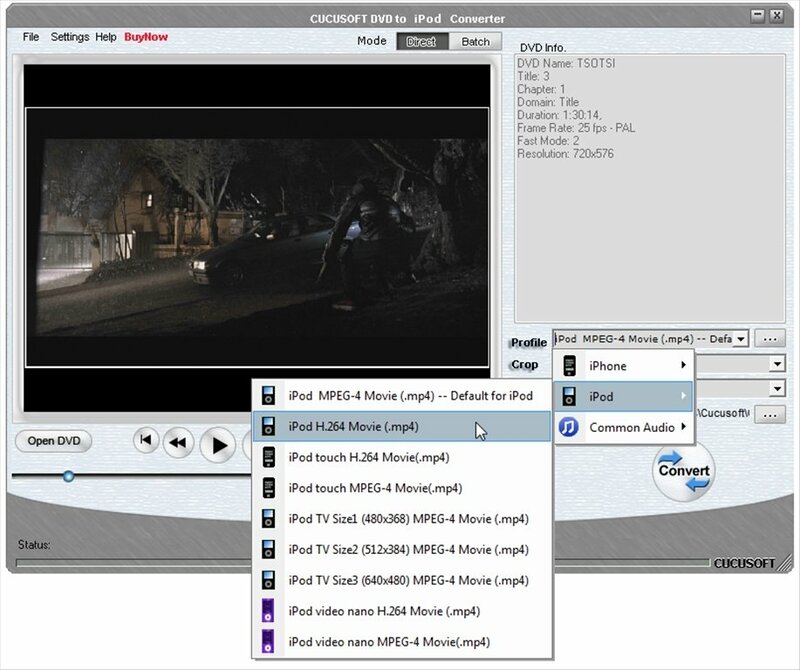 This software will take care of ripping DVDs and making them compatible with the device by Apple, as well as with any iPhone version you may have, therefore it can be used for both the player and the telephone by the Cupertino based company. Convert any type of DVD to a format compatible with your iPod. Also to MP3. 3 running modes: Direct, Batch and 1-Click. 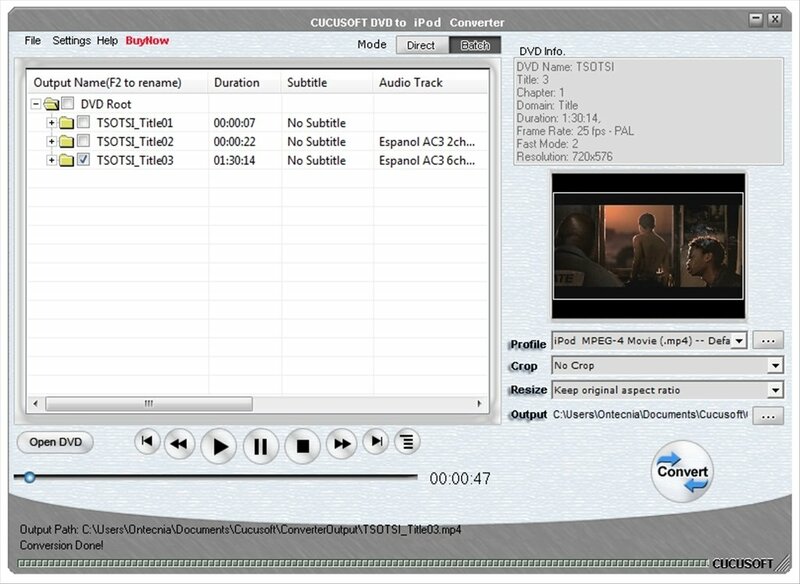 Allows you to choose the language of the audio track and subtitles. Obtain the end video split into chapters or episodes. Adjust the end size of the file and its quality. It's really easy to use for anyone without knowledge on this issue, specially in 1-Click mode, in which you only have to insert the DVD into the PC's reader and press the button to start converting. 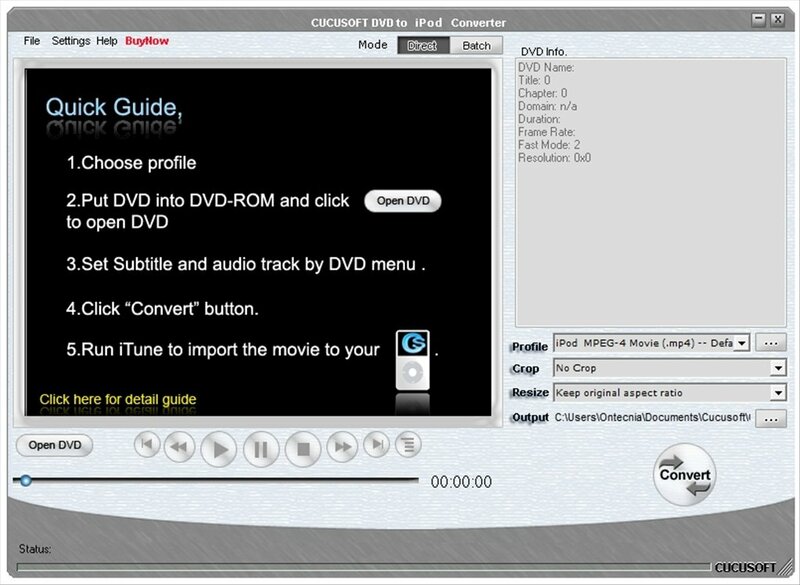 Likewise, whoever wants to delve into the possibilities of Cucusoft DVD to iPod Converter will find a product full of possibilities. 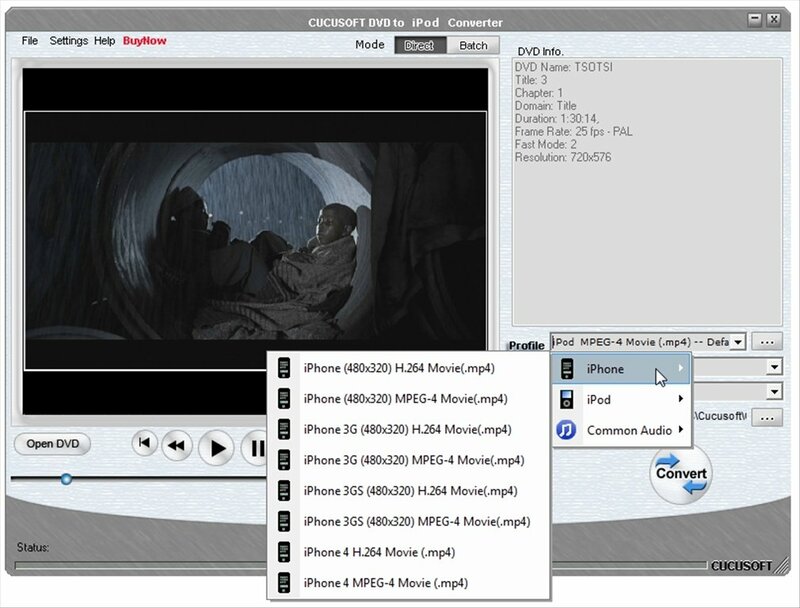 Downloading Cucusoft DVD to iPod Converter is the solution to make DVDs compatible with your iPhone and iPod, and be able to enjoy their contents whenever and wherever you are. The trial version applies a watermark to the video output.